My friend Kathryn and I decided we needed a "kick in the bum" to jump start our creative process. We both felt like we were in a rut. She had the great idea that we should find another class to take together (that is how the two of us met). We searched and decided upon a new class by May Flaum at Big Picture Classes. The name of the class is "the Curious Scrapbookers Field Guide). It looks like it's going to be an AMAZING class! It's full of everything. 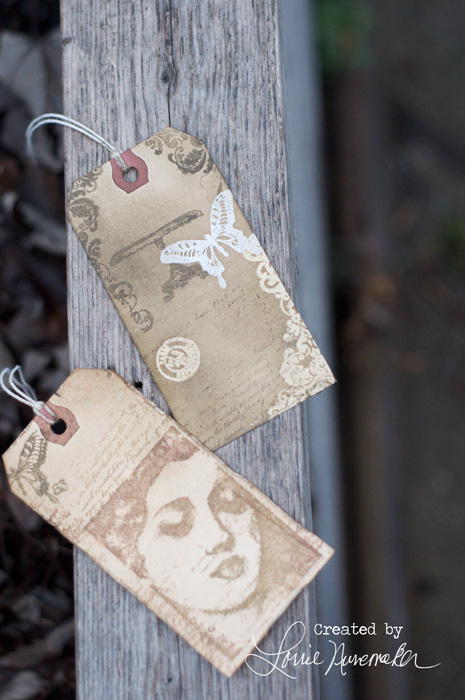 Stamping, scrapping, inking, distressing, stenciling... you name it! When you sign up for the class you immediately have access to her A-Z how to videos. I watched a few today and couldn't wait to get started. I spent the afternoon in my craftroom making tags. This is totally out of my "zone" and so exactly what I needed to get me thinking"out of the box". I will post a few tags in the next few days. I made a total of 11 today. It felt so good to get my stamps, embossing powders, gel medium, inks and stencils out of the closet and put them to use! The class doesn't actually start until Jan 31... there's still time to sign up! Hope to see you there!